Patients who experience the symptoms of infection should seek treatment immediately as symptoms can get worse quickly. Contact us now to review your case. You may be eligible to financial compensation. If You Have Taken Any of These Drugs and Developed Gangrene Contact Us Now! The FDA is requiring that all SGLT2 inhibitors carry a new warning about the risk of necrotizing fasciitis of the perineum on their labels. More than a dozen patients were diagnosed with the condition, called Fournier’s gangrene, within months of starting SGLT2 inhibitor medications. The FDA identified 12 cases of this serious condition between March 2013 and May 2018. At least seven men and five women were diagnosed with Fournier’s gangrene, also known as necrotizing fasciitis of the perineum during that time period. Each of them was forced to undergo surgical intervention. Some patients had to endure multiple disfiguring operations, some patients developed serious complications, and one patient died. In comparison, the FDA reported that Fournier’s gangrene was identified in only six cases over the previous 30 years in patients who were treated with other, non-SGLT2 diabetic medications. 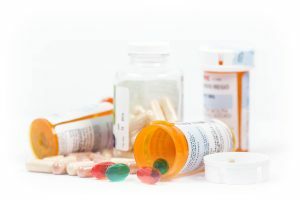 The FDA said there might be more cases of SGLT2 inhibitor-related gangrene than what it is currently aware of and urges patients and medical professionals to report side effects involving SGLT2 inhibitors to the MedWatch program. Fournier’s gangrene is an extremely rare condition in which patients become infected with bacteria that can destroy the tissues that surround and support the blood vessels, fat, nerves, and muscles of the perineum. Normally, this infection begins with a break or cut in the skin and having diabetes increases the risk of developing the condition. But even still, the condition is rare and is estimated to occur in less than two of every 100,000 males in the U.S. The condition most often occurs in males between 50 and 79, but the FDA reports it observed the condition in both men and women. If you or a diabetic patient you love developed Fournier’s gangrene after starting treatment with a commonly used diabetes drug like Invokana, Jardiance, or Farxiga, contact us today. Patients who develop necrotizing fasciitis of the perineum also called Fournier’s gangrene might be entitled to seek significant financial compensation for the injuries they sustained and the surgeries they were forced to endure. Contact us today to learn more about SGLT2 inhibitor-related genital gangrene, how we can help, and whether you are eligible for compensation and justice for the damages you have sustained.